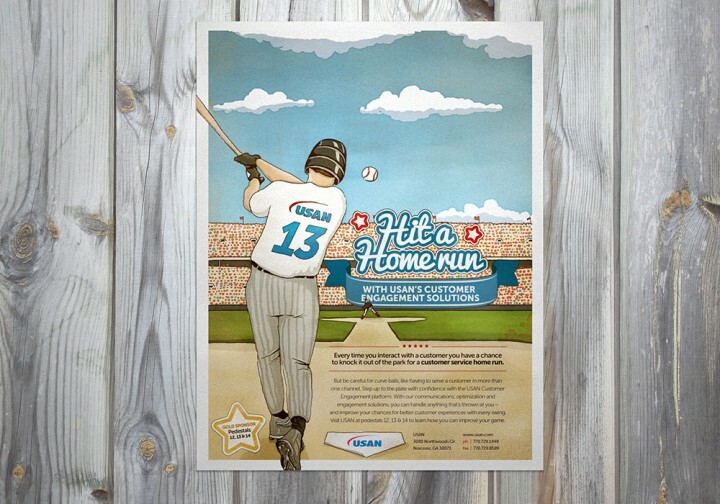 USAN Baseball Ad - Wood Street, Inc. 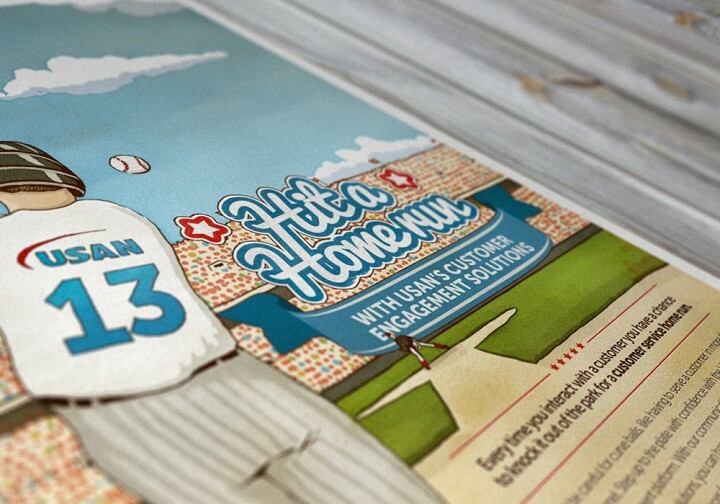 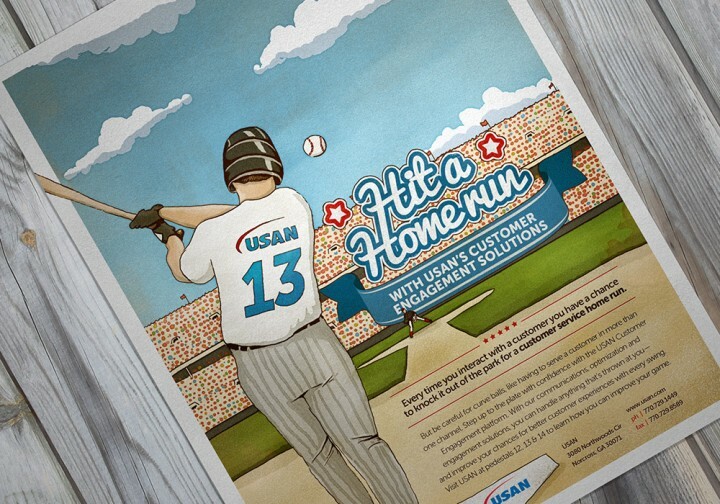 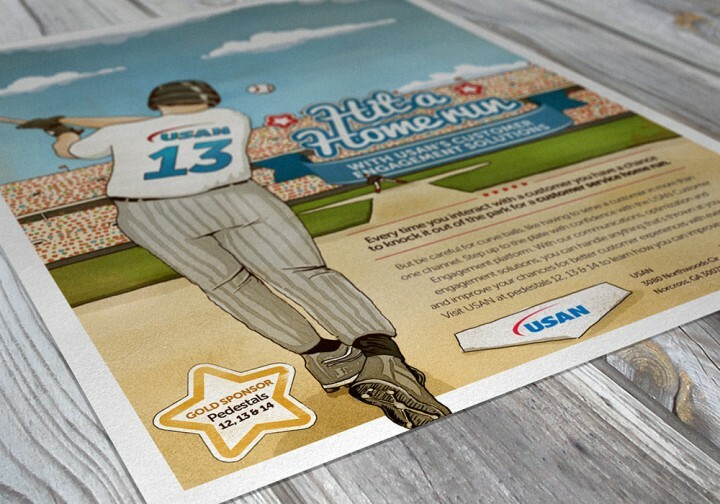 The cloud software company USAN was taking part in an expo with a baseball theme and needed a full-page magazine ad that looked the part. 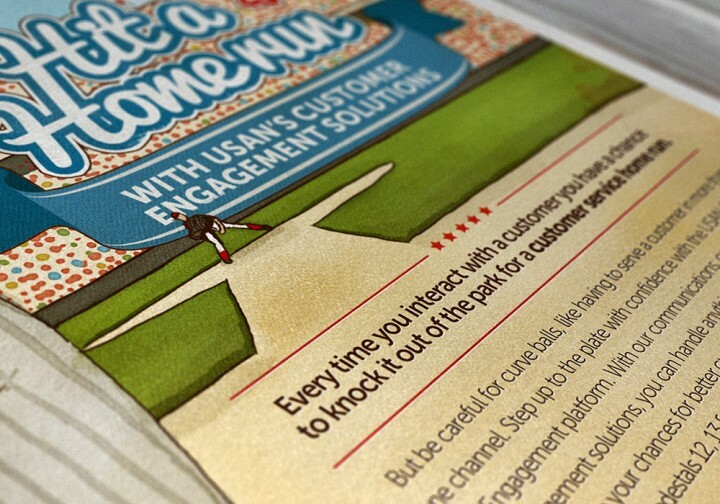 Wood Street set out to meet this illustration challenge by piecing imagery together to form the basis for what would be needed for the advertisement. 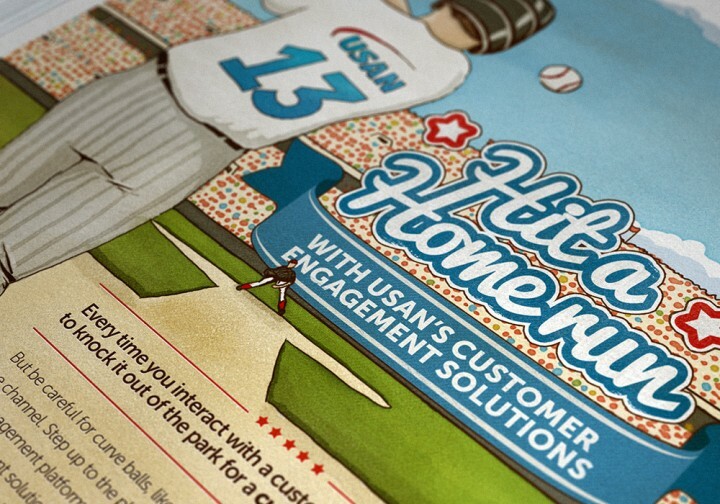 After this was approved, this guide was used to sketch out a 1940’s-era poster. 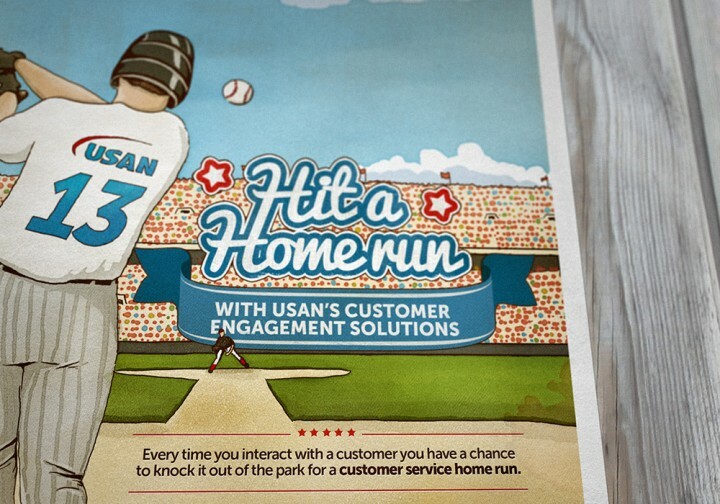 By intentionally fading colors and adding wear to the resulting imagery, USAN soon had a unique piece to their name – a modern software company with an old fashioned baseball game flare.